Amazon is one of the biggest and most famous marketplaces online, and its integration has helped millions of ecommerce stores the world over. At ChannelSale, we provide you with the smoothest CS Cart Amazon integration services that can provide your online store with greater exposure and boost your sales and revenues significantly. Our marketing experts can devise the best strategies to display your store and its products across varied channels and provide them with greater exposure all over the web. This will bring your wares to the notice of thousands of potential buyers and allow you to boost your store sales. We use only the most high-end software management tools, such as CS Cart Amazon connector, for facilitating the integration process. We can also assist you with the management of your store by offering shipping and order tracking management services, real-time inventory management and other important services. Why can we be Your Ideal Option? 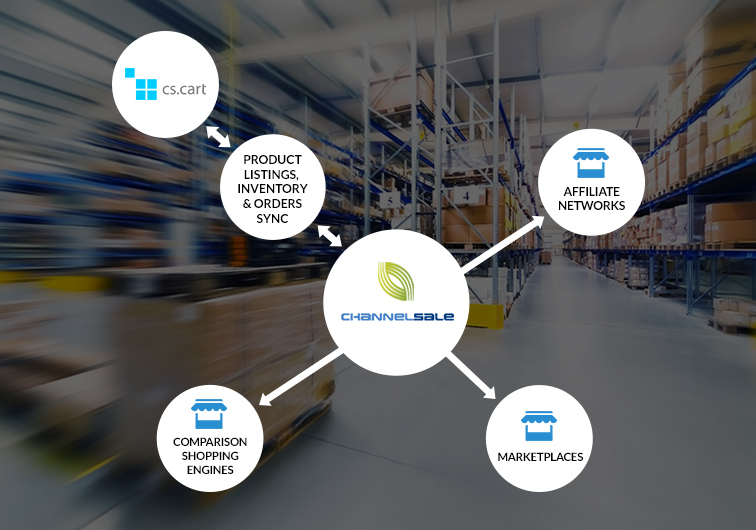 We can help you with automated product listing, product stock synchronizing, account tracking and many other things. We can use granular level item category mappings, along with CS Cart Amazon plugin, and make sure that all items from your ecommerce store are synchronized easily with all the right product categories from Amazon. We mark up the rates for your store products for various types of shopping engines and also keep variable cost structure for Amazon and a number of other marketplaces over the web. Our CS Cart Amazon plugin makes sure that you receive all updates about your product, which ones of them are selling more or selling less than anticipated and more. We associate Amazon with your ecommerce store in such a way that a parent-child relationship is established where needed. We can support any type of item, regardless of its shape, size, type and colour. Whether you have multi-variational items, kits, bundles or group products, we can handle them easily for you. So why delay, start with ChannelSale today. Contact one of our Client Service Executives by mailing us at info@channelsale.com or calling us up on +1-866-709-9495.